In their first mid-week game of the season, Carrigtwohill United A were at home to Churchvilla, needing 3 points to get into mid table position. The boys started very strongly and had good possession creating many chances which did not convert into goals and they went to the break at 0-0. After a good half-time team talk, they continued putting pressure on the Churchvilla defence and Carrigtwohill eventually scored after some sustained pressure. Soon afterwards, Noah lobbed the keeper with a great strike for the home team’s second goal. 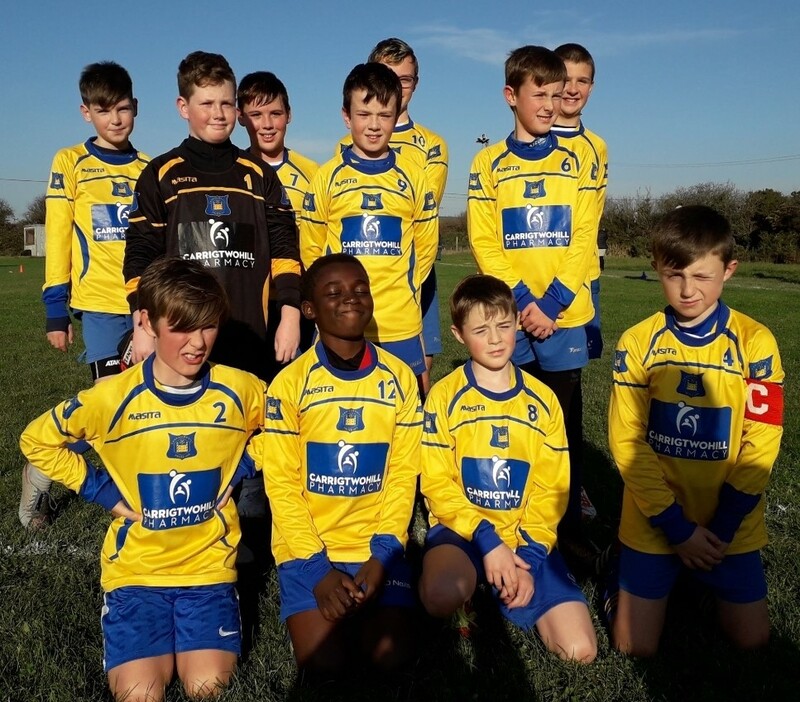 Well done to the entire squad of 14 players and especially goalkeeper Cian O’Rourke for keeping Churchvilla at bay throughout the match.